Most local health departments operate on a sliding scale fee system, based on income. Most of them are able to administer pregnancy tests in their offices. If you qualify and your income is low enough, you can get a pregnancy test done for free, or for a small fee. Most health departments will also give you the option of billing you for the service, so you don’t have to pay anything up front. A local health department can be a great option since they are usually very close to home. You probably have seen signs for these centers at some point. There is a national 1800 number you can call to get help through a pregnancy crisis center. The number is 1-800-395-HELP. Pregnancy crisis centers can be a great resource, since they know exactly what you are going through and they specialize in this sort of thing. Pregnancy crisis centers can help you find a free pregnancy test, and some can even provide a free ultrasound or other free prenatal care. Pregnancy crisis centers are not available in all towns, but if you call the 1800 number listed above, someone can help point you in the right direction. Online tests are another, less reliable option. If you don’t have access to a urine or blood test, you can take an online pregnancy test and see what the results say. Keep in mind that online tests are not really that great of an indicator of pregnancy, and nothing replaces a blood or urine test done by a doctor. There are many sites that offer online pregnancy tests or quizzes and things of that nature. They should never be a replacement for a doctor’s care however, and should only be used to help pass the time until you see a real doctor for confirmation. This doesn’t exactly fall into the category of free tests, but we thought it was worth mentioning anyway. You can find pregnancy tests at discount stores such as The Dollar Tree for only $1.00. These tests might cost less than others, but they still detect the same hormone in the body and they still work the same way. 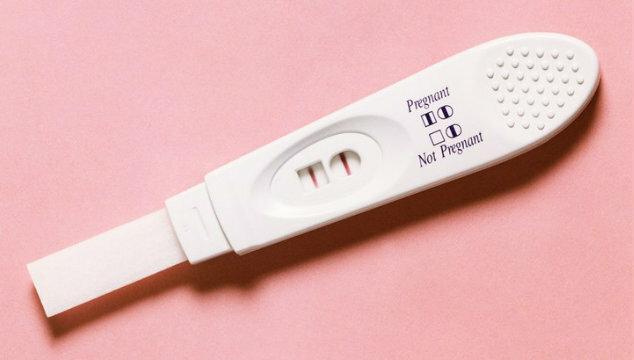 If you do not have the money for a pregnancy test, you could consider trying one of these discount tests. While also not falling in the category of free tests, Fertibella ConceiveEasy offers as a free bonus gift 20 pregnancy tests just for trying their fertility blend supplement. For just the cost of shipping, you receive not only Fertibella’s Month 1 & 2 to try for 30 days, but you also get to keep your 20 pregnancy tests (or ovulation tests) as well as a bonus BBT thermometer, free no matter what. As always, nothing in this article should be substituted for a doctor’s care, and your doctor should be the only one to confirm a pregnancy.